If you are brave enough to walk through the gates, you will be treated to a movie, popcorn, soft drink & candy after for your bravery. 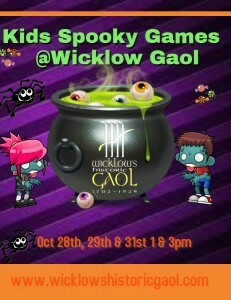 DO IT IN THE DARK Adults only tour of Wicklow Gaol by night! 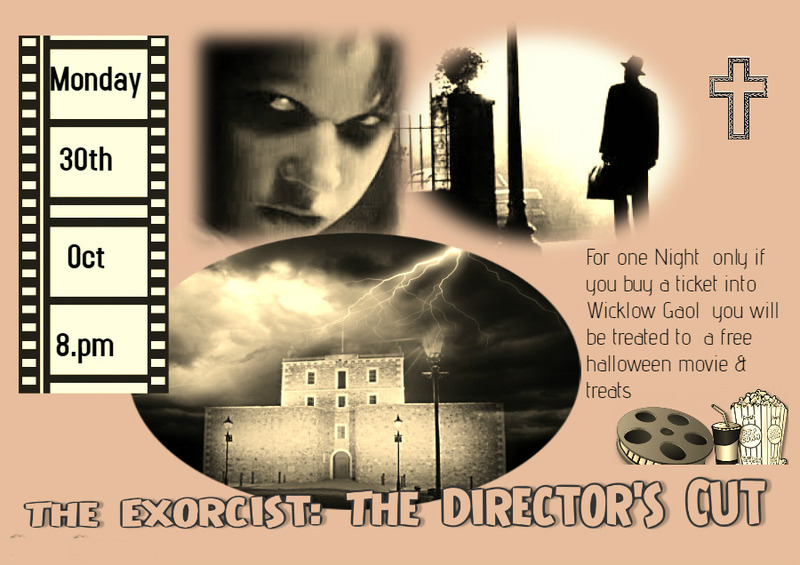 October 27 @ 7:30 – 8:30 pm and again from 8:30 – 9:30 pm advance booking essential! 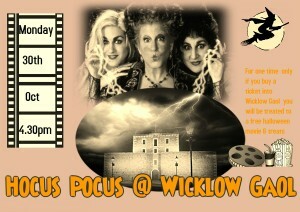 Experience the compelling story of life in Wicklow Gaol since the early 1700’s in the dark!!! Mingle with the ghosts, enter the solitude at your desire and board the transportation ship. €15 per person with a complimentary glass of wine. 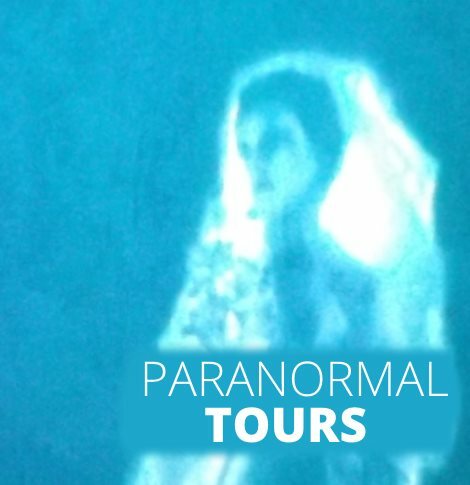 Are you looking to discover evidence of those spirits who wander the corridors and cells of Wicklow’s Historic Gaol? Overnight experience including tea, coffee and refreshments through the night. €55.00 per person. Participants must 18 years. For other fun things to do in a Lazy Days camper this Halloween click here.